Subashini De Silva, a once-shy young woman who’d never left the city of her birth has become a world traveler, passionate researcher and award-winning presenter at conferences. 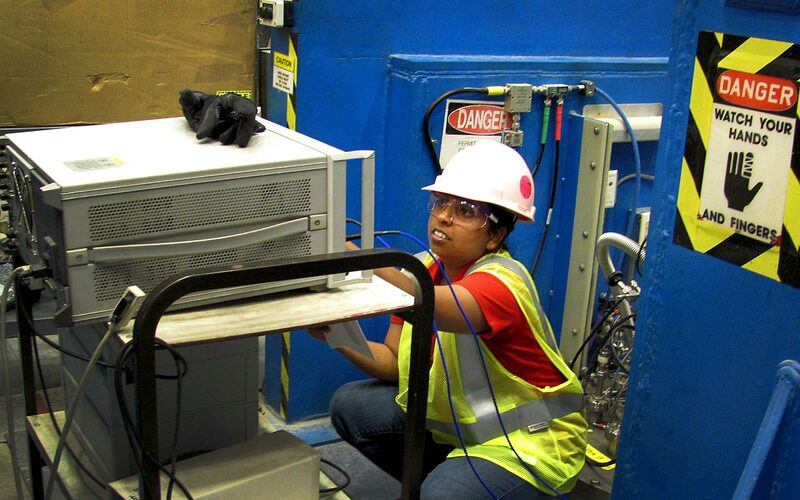 Through her work as a Ph.D. candidate, and support from outstanding mentors, she has seized upon and excelled at her work with the investigation and optimization of a new compact superconducting cavity for deflecting and crabbing applications. Born in Colombo, Sri Lanka, Subashini or “Suba” as she’s known by her colleagues, did her primary schooling at Sujatha Vidyalaya and Sirimavo Bandaranaike Vidyalaya. Her parents were both professionals – her dad a mechanical engineer and her mom a banking officer – who encouraged her education at every turn. As a youngster, her favorite subject was mathematics. “It seemed I’d found in math something I really liked” she recalled. By the time she was completing high school, De Silva was granted access to one of the leading public universities in the country. Following a science major, her first year at the University of Colombo, she took applied and pure math and physics. She pursued her studies in physics in the last two years at the university, specializing in Engineering Physics.